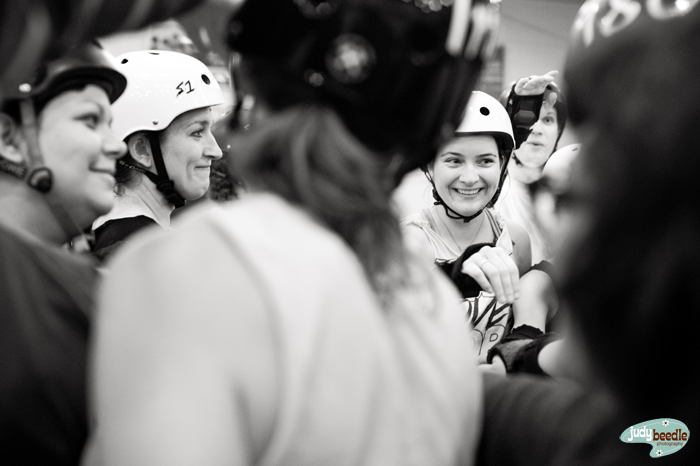 It’s taken me a long time to learn this lesson: Love is the most important part of roller derby. I know a league that went into last season with this in mind, starting with a brand new roster of less-experienced skaters, but they moved up 10 ranking spots that season anyway. People who have fun at practice come to all the practices. Teammates who love each other support each other in their walls and help their struggling jammer friend even faster. 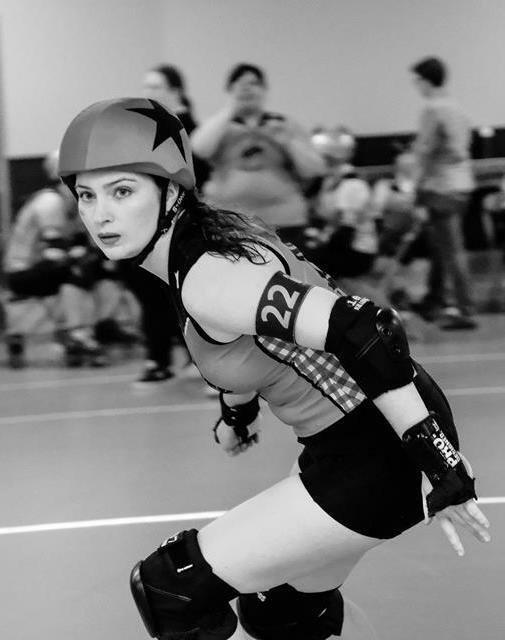 Skaters who are friends off-the-track almost are always stronger than other pairs on the track because they know how each other thinks and communicates. Coaches who love their team and the sport think about new strategies, ways to improve and individual feedback while daydreaming at work. 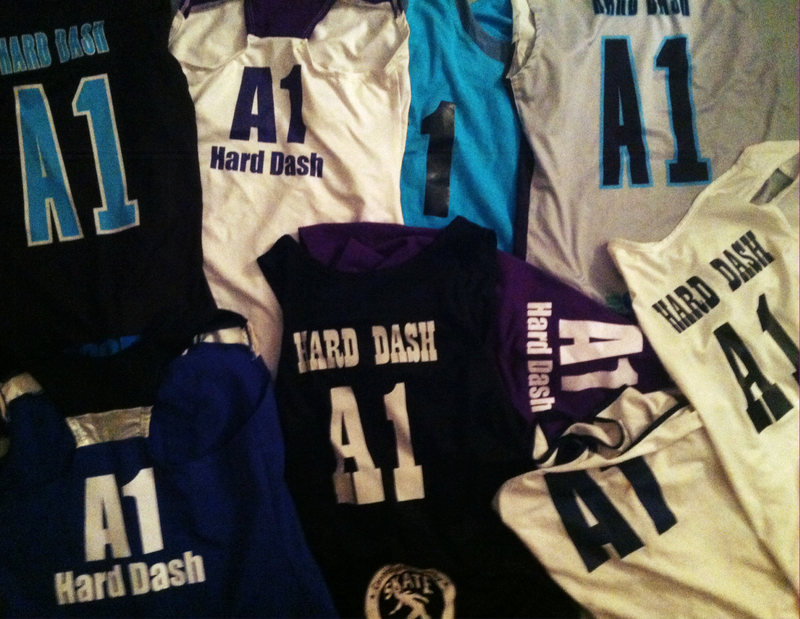 Newer skaters will see your team radiating love and want to be part of it and will work hard to get there. Want to be more competitive? Want to boost league attendance? Cultivate a culture of love. 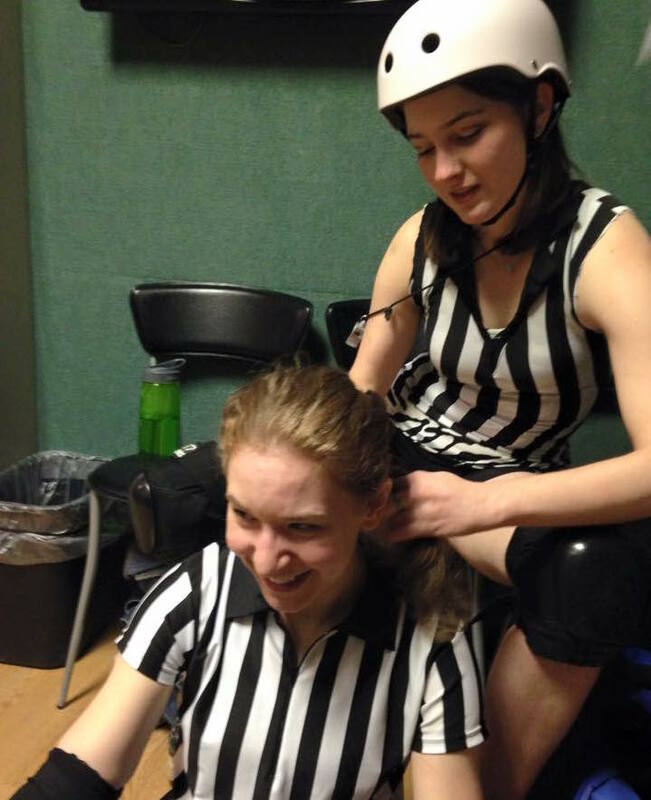 Hair braiding for a zebra packmate (teammate?) is love. If you liked this, click “subscribe” at the top of the blog and you’ll get an email every time I add a post.